On the course I was passed time and again by people hiking up the mountain while I was running at a snails pace and when I finally gave in and decided to join the masses I found myself instantly out of breath and experiencing muscle fatigue in new places, back to running! Since then, I’ve completed many courses with long ascents including the famed Imogene Pass Run which entails a 7 mile climb up and over a 13,000 foot pass and then 10 miles back down into the town of Telluride, CO. The downhill section was much more demanding than the up and I was sure glad I did many long downhill repeat training sessions! So my recommendation for anyone planning on attempting their first shot at a race like Leadville, the Pikes Peak Ascent or Imogene Pass this year is to train on a lot of long steep roads to mimic the course as much as possible. Sure, running (or power hiking) on a road uphill for an hour or more at a time may not sound like your idea of a good time but it does present a plethora of additional benefits that will transcend beyond your ability to conquer steep grades. 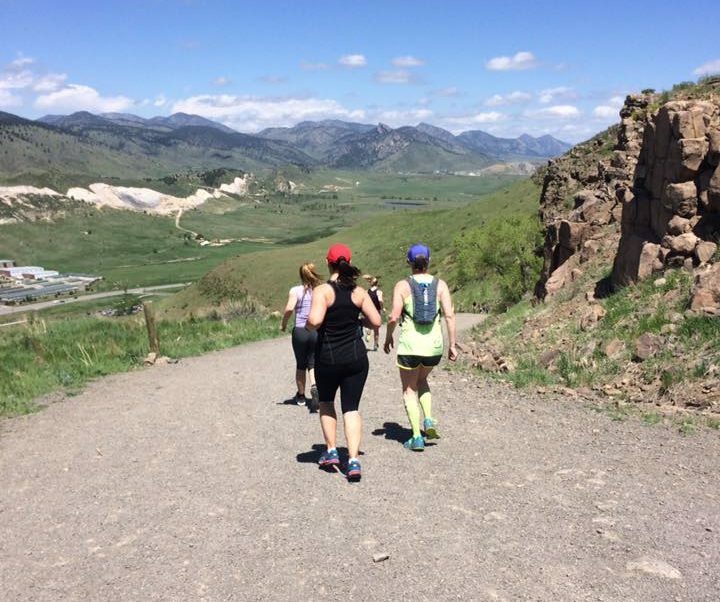 First, let me share just a few of these benefits and then recommend some great places to try these workouts out on your own in the front range! Running uphill helps to correct a myriad of biomechanical issues. For example, it is almost impossible to heal strike, the slope forces you to land closer to midfoot. It is also very difficult to over-stride; when running up steep hills you are forced to take short, quick steps and keep your feet underneath your body. All of these things translates to more efficient running. When running up steep inclines, your body naturally must accommodate to the angle of the slope. This means you must pick up your knees and feet a little bit higher. Training on hills helps to strengthen your hip flexors, the muscles responsible for “picking up your feet” when running. This is crucial for trail runners as the most common catalyst for injury is tripping on a rock or root. When you first start running uphill your body is wondering what kind of cruel torture you are putting it through. Your legs are burning, your lungs are burning and you are not yet 10 minutes in. However, give it some time and allow your body to adapt to the new workload. Sure, you may have to settle for a slower pace but your physiology will soon catch up which will give you more power off and on the hills. 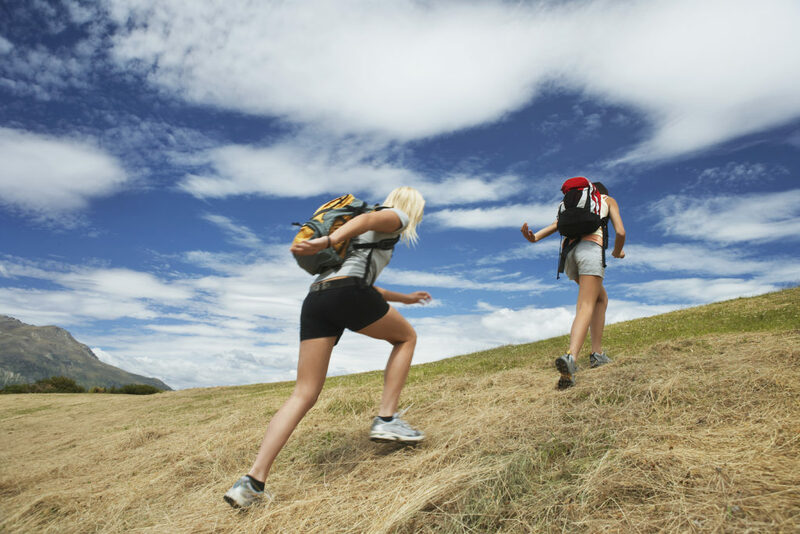 Hiking or power hiking is a great way to train for a mountain trail race! As I mentioned above, this was something that was not on my radar when I first started competing in mountain trail races. I think for many novices, there is something about reverting to walking during a race that is akin to failure and at the very least a serious ego hit. However, a recent study from the University of Colorado in Boulder has demonstrated quite the opposite and confirms what serious mountain and ultra runners have known for years: power hiking is a necessary part of both training and competition. 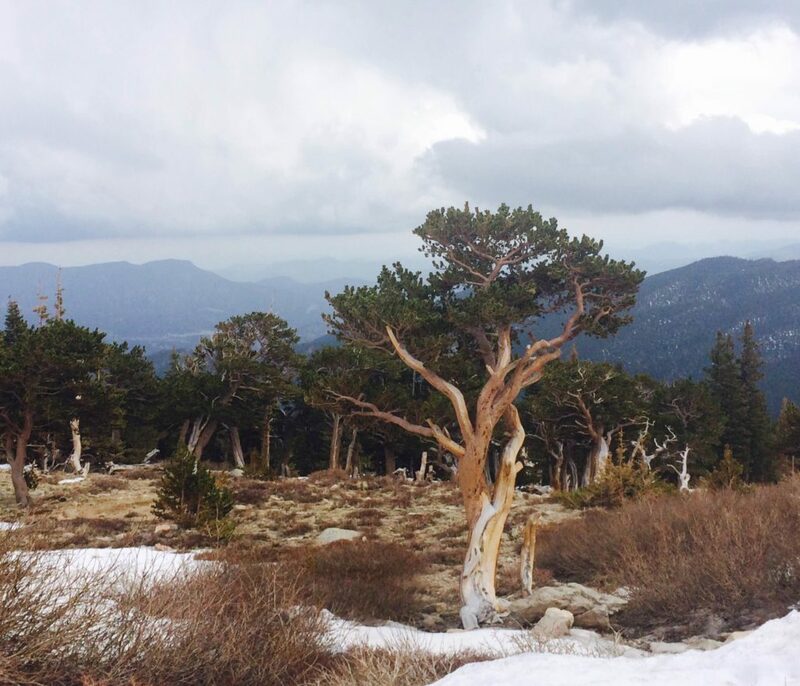 The study had seasoned mountain runners run and walk on a variety of different inclines ranging from 9-39 degrees. They found that it requires the same amount of energy to climb a slope, whether running or walking. So the next time you face a steep hill, you have an excuse to walk. 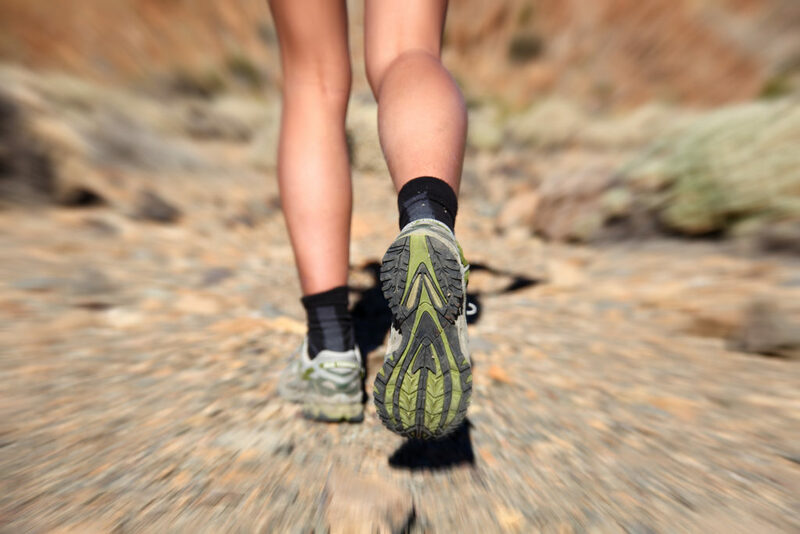 Not only will you probably be faster and more efficient but power hiking uses different muscle groups which gives your body a break from the repetitive pounding of running and allows the running muscles some recovery time. #5: What goes up must come down! Whether on a technical trail or not, most people tend to sit back and put on the brakes on the downhills, thus overusing the quadricep muscles instead of using the downhill for the recovery it should be. 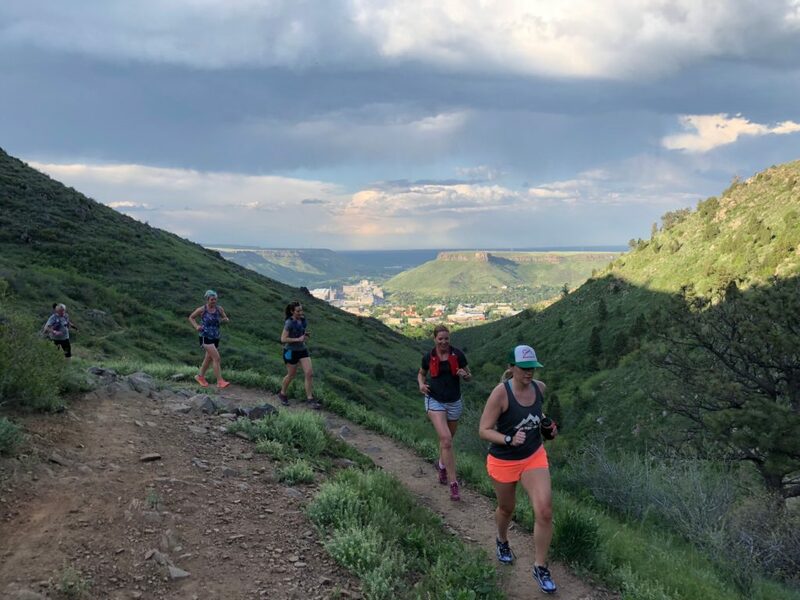 Running down steep, non-technical terrain forces your legs to turnover more quickly which leads to greater neuromuscular adaptations translating to a quicker cadence on and off the trails. Successful downhill running is a mixture of skill, cadence and confidence, the later being the major issue for most people. Practice makes perfect! So now onto my favorite places to practice my long hill work in front range Colorado. And just a preface: I am not talking short hill repeats, those have their time and place. I am talking LONG hills, 1/2 mile in length or longer. Hills with a minimum average incline of 8% that can be made into repeats if desired. This road is a beautiful dirt road winding through the heart of this breathtaking national park. The 11-mile-long road leads travelers from Horseshoe Park (a short distance west of the Fall River Entrance) through the park’s wilderness to Fall River Pass, 11,796 feet above sea level. If you are training for an ultra marathon, complete the full distance, otherwise you can park at the bottom or somewhere along the way for a shorter out and back. Park at the main lot off C-47o and Alameda to Rooney rd. Go on the bridge (over the highway) and then left onto the Green Mountain Trail. Follow the trail along the base of the mountain until it meets a gravel road and take a right up the road all the way to the top. You will gain over 800 feet in about 1.5 miles. Head back down for another round or take one of the many beautiful single track trails down for a longer loop. North Table mountain boasts 2 tough climbs on either side of the mountain. I recommend taking the North Table Loop single track trail for a warm-up and then heading up the Mesa Top trail (dirt road) to the top. You will gain about 500 feet in the 3/4 mile climb. This is a great place to do multiple laps and work on speed and turnover on the up and downhill. So this isn’t a trail but another great long road that will give you some high altitude training as well! The road is closed to motor vehicles between Labor Day and Memorial Day which makes the off season the perfect time to run up there surrounded only by the sounds of nature and epic scenery. Park at the rangers station (the gates will be closed but you can go through them on foot) and head on up! If you are training for an ultra marathon or just feeling super ambitious, the road to the top is over 14 miles with a whopping 4000 foot elevation gain. I was able to get up to the road one time in mid May for a training run: 5 miles up and back down the road, which was enough for me! 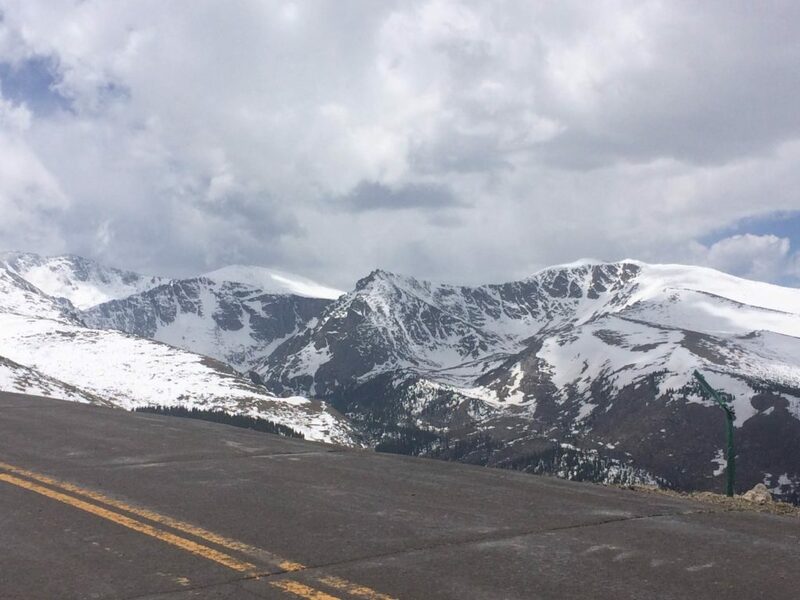 Pics from my adventure running up Mount Evans road. I felt on top of the world! So this isn’t a trail either however you can get some serious vert running the roads here. We typically park somewhere in the town of Morrison and then run up the road into the park and all the way to the top of the amphitheatre, up the Geological Overlook trail and back down again to the main road (about 3 miles rt). There are a variety of roads leading to the top so multiple options so you don’t get bored if you are doing repeats. Sometimes when I reach the base of the amphitheatre I will take the stairs to the top instead of the road, a small shortcut but just as challenging if not more so! Also, going down on the stairs is a great way to work on your turnover and proprioreception. This is one of my favorite spring and fall trail runs. You run through a variety of terrain with views along the way that makes the heart pounding, leg burning climb worthwhile. Park at Beverly Heights park and take Lookout Mountain Road up until you reach a small parking lot on the left with access to the Chimney Gulch trail. You will stay on this trail until you reach Lookout Mountain trail, take this all the way to the top! There are several splits in the trail so make sure that after you get on the Lookout Mountain trail you continue on that path. You will wind through rocky, desert like terrain and into lush aspen and pine forests towards the top, rewarded with a stunning view of North and South table mountains. 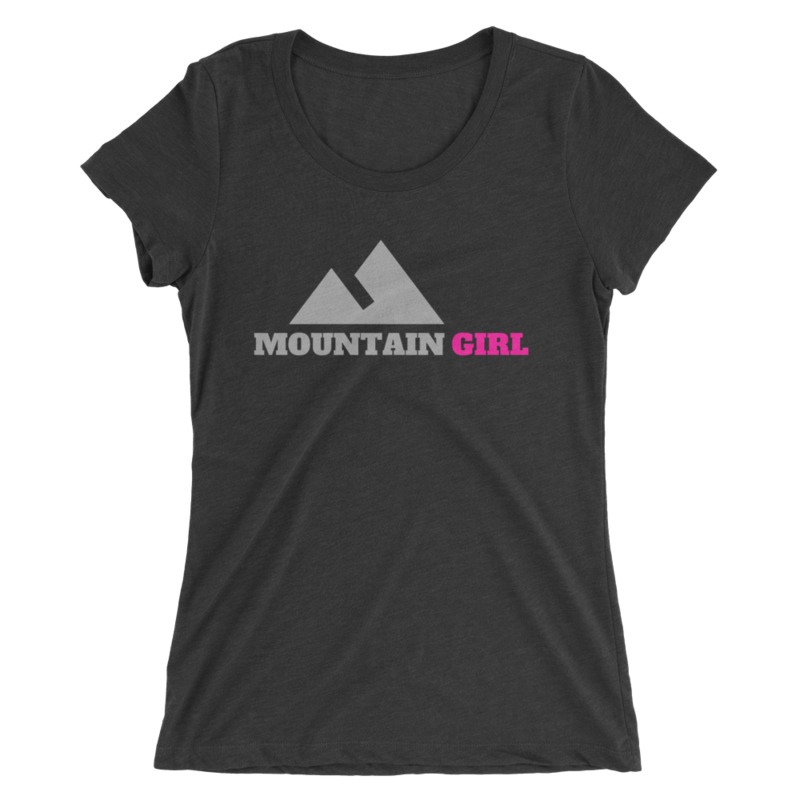 It’s about 3.5 miles (one way/up) with over 1500 feet of elevation gain. 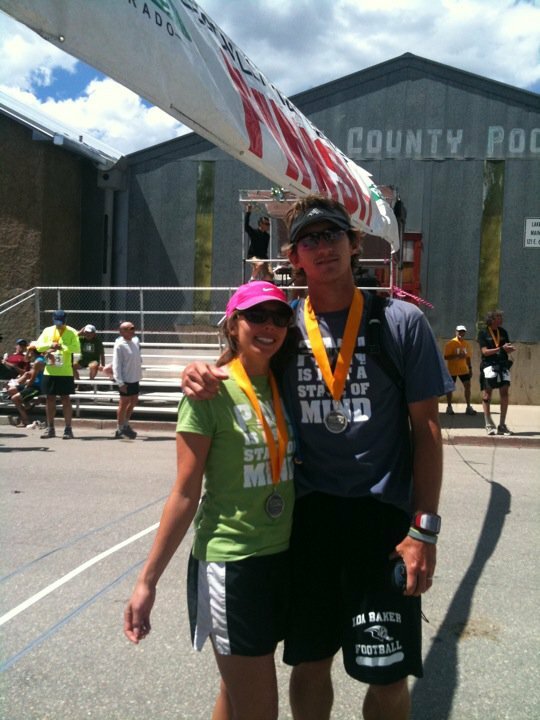 This is a great run to mimic the rocky terrain and relentless climb at Leadville and Imogene. Deer Creek Canyon boasts a variety of trails and many offer shade under the thick canopy of the old growth pine forests, the perfect place for a reprieve from the heat on a hot summer day. From the trailhead, take the Plymouth Creek trail and passby the first split to the plymouth mountain trail continuing all the way to a fork in the road and take the Plymouth mountain trail to the left. We recommend working on your power hiking skills during this next section as it becomes quite steep. Next, look for a split off the left and take the Plymouth Mountain Lookout trail to the end. Soak in the view and then head back down for a long, rocky descent! You will gain about 1500 in this 6ish mile out and back course. Get ready for a tough, rocky ride. This single track trail boasts more technical terrain and doesn’t offer much in the way of coverage so be prepared to bring plenty of water. Park in the East trailhead lot (just outside of Morrison) and take the Castle trail all the way to the top where it meets the West trailhead lot. You will gain over 1700 feet in this 4 mile climb, whew! Watch your footwork on the way down as you will most likely have fatigued legs. 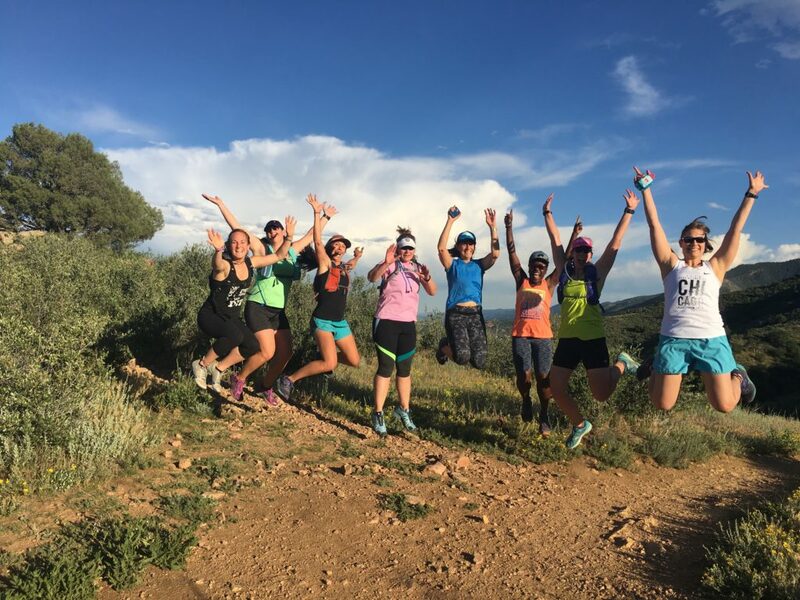 If you are training for a trail race or just want to become a more efficient climber and more confident on the steep, technical descents check out our women’s trail running group staring in April. We meet at different trails each week for coached/guided runs working our way up to trail half marathon. More about that program HERE.